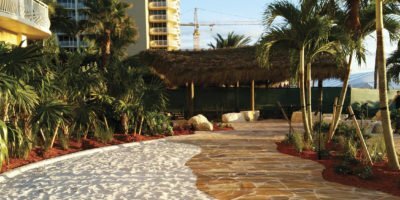 Canin Associates first began working on the Marco Island Marriott Beach Resort, Golf Club & Spa in 2008 for the first phase of renovations. In 2014 the resort began the process of undergoing a full scale renovation which includes a brand new hotel tower. The Canin Associates Landscape Architecture Studio played an integral role in bringing the Balinese inspired vision to the resort’s pools and open spaces. On January 1, 2017, the resort will reopen as the new JW Marriott Marco Island Beach Resort, with state-of-the-art guest services and contemporary amenities. In additio to interior upgrades, including fresh dining experiences and modernized guestrooms, the $250 million hotel renovation includes a large list of landscape and structural upgrades. Canin Associates is leading the design and renovation of multiple pools, pool decks outdoor dining terraces and entry features. A stunning new fifth floor amenity deck will feature a pool, spa, and multiple rooftop garden features. 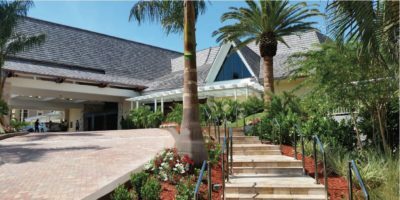 Canin Associates is also participating in a complex team of consultants including architecture, interiors, civil engineering, structural, lighting, and irrigation for the landscape components. For more information, please visit jwmarco.com.